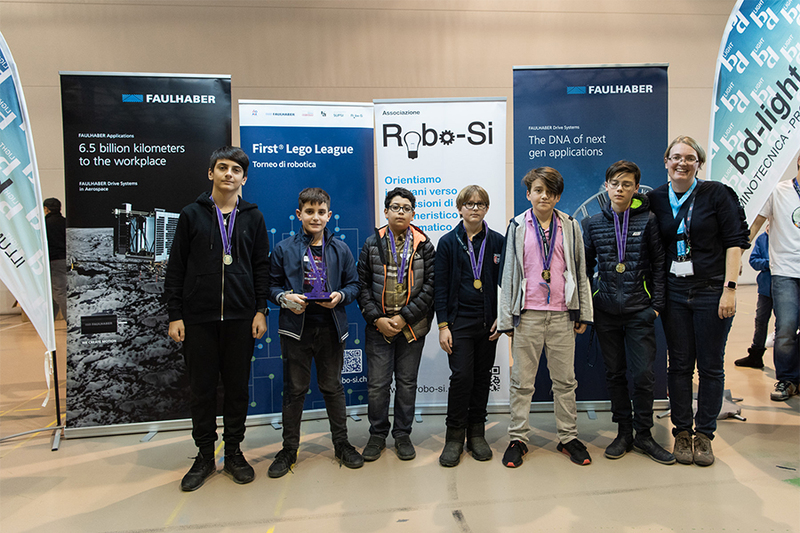 Twenty-one Middle School and Elementary School students proudly represented TASIS The American School in Switzerland and captured two team awards at the Swiss FIRST LEGO League Regional Robotics Tournament at the Cantonal Institute of Economics and Commerce in Bellinzona on January 12. 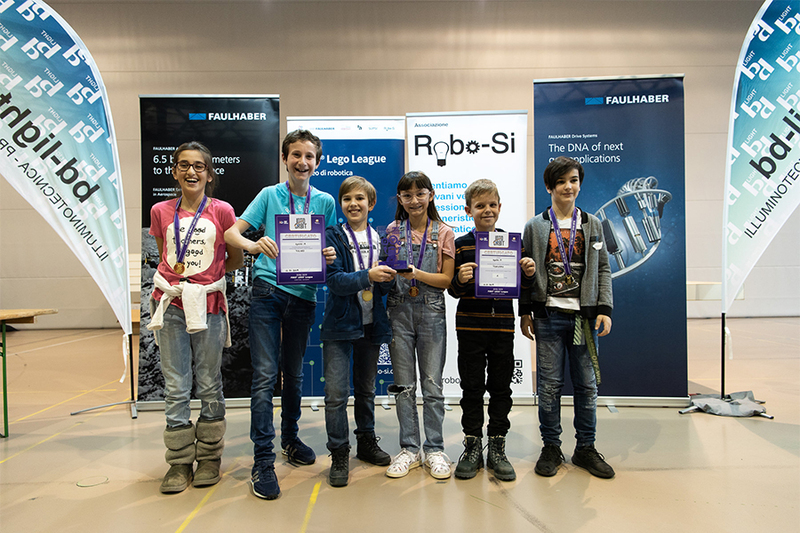 More than 320,000 students worldwide have now participated in the FIRST LEGO League, with 40,000 teams in 98 countries dedicating themselves to researching real-world problems such as food safety, recycling, and energy and striving to develop creative solutions through imaginative thinking and teamwork. 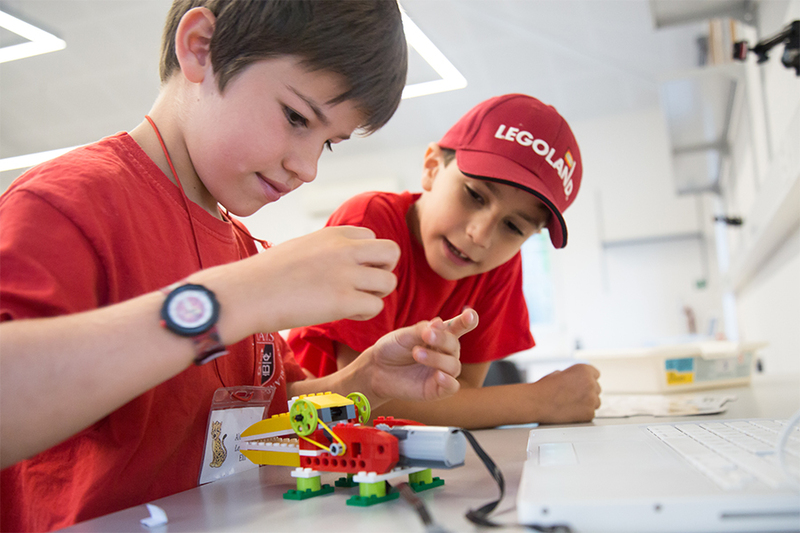 Tournaments consist of students using the hardware software-platform LEGO MINDSTORMS® to design, build, and program robots, which they then compete with on a table-top playing field. Led by Middle School Science and Computer Science Teacher Amy Bloodworth and Middle School Math Teacher Claire Thomas, who co-founded a TASIS After-School Robotics Club for students in grades 5–8 in the fall of 2018 (a club for Elementary School students was initially founded in 2015), the TASIS contingent was broken into three teams for the regional tournament in Bellinzona. Each team found success after a grueling nine hours of competition. The Pioneers were composed of nine students from Ms. Bloodworth’s Middle School Computer Science class—eighth-graders Giovanni Barbieri, Giacomo Bertola, Lorenzo Carlini, Kaan Kartal, Angelo Scancarello, and Rocco Zanarini and seventh-graders Rafael Cohn, Camille Girotto, and Jan Sommerkamp—and were the highest-finishing novice team in the competition, placing fifth in the Robot Game and Robot Design categories and finishing seventh overall out of 14 teams. 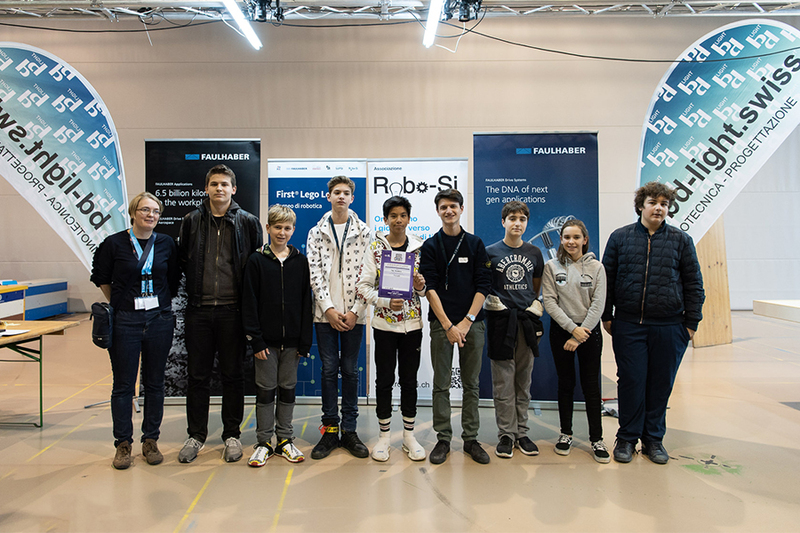 Six more Robotics Club students—eighth-grader Aleksey Stoyanov and sixth-graders Sebastian Airolo, Zachary Barsom, Gabrielle Ippolito, Ivan Popov, and Max Sulla—made up the Star Wars team, which captured the Judges Award for showcasing the ability to compete with more experienced teams and achieve a solid result in the tournament. Dynamic robotics programs are also offered as part of the TASIS Summer Programs each year. 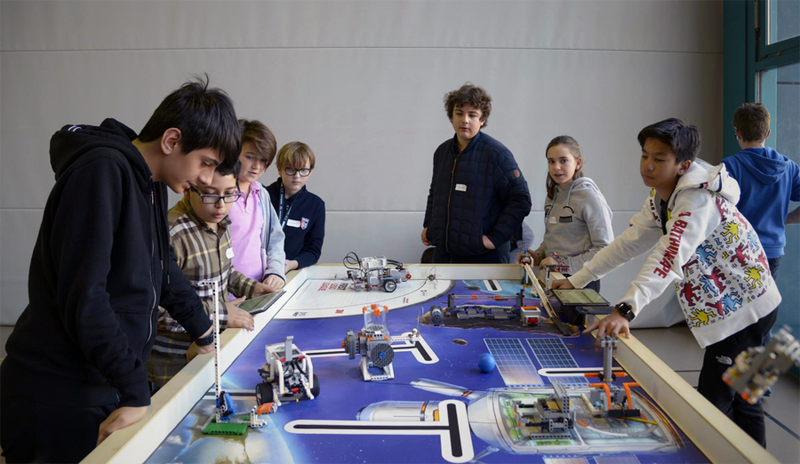 Students in the Château des Enfants program (ages 7–10) visit the state-of-the-art Campo Science Center once a week for an exciting introduction to the principals of robotics, and students in the Middle School Program (ages 11–13) can choose to focus on robotics through an afternoon clubs program. Sessions are designed to help students develop a passion for programming, problem-solving, engineering, and creativity. Ms. Thomas has followed the lead of Ms. Bloodworth and Middle School Department Chair Dr. Brett Merritt as they have pushed for more coding, engineering, and invention in the science curriculum at TASIS. In recent years, she has had her classes participate in the Hour of Code global movement and has modeled lifelong learning by becoming a certified Raspberry Pi Educator (as Ms. Bloodworth did a few years prior) and learning Python. She believes that LEGO MINDSTORMS® is a wonderful tool for teaching students physical computing. Full results from the tournament, which was featured on the January 12 episode of RSI’s il Quotidiano, can be found here, and a behind-the-scenes look at the TASIS students in action can be viewed in the clip above. See more photos from the tournament on the TASIS SmugMug page.